As everyone knows, MP4 video enjoys the widest popularity while AVI video gets the poorest support. Nearly all mobile devices like iPad Pro, iPhone 6s, Galaxy S7, Huawei Honor 8, etc. have full support for MP4 videos, not the AVI files. So if you want to play collected AVI videos on those portable devices, what should you do? Just convert AVI to MP4 video with a professional AVI to MP4 video converter. After that, you can take your favorite AVI files virtually everywhere you want. Leawo Video Converter is a fantastic piece of software that could eliminate any video incompatibility issues. Besides acting as a professional AVI to MP4 converter to convert AVI to MP4, it could even convert between 180+ video and audio formats like MKV to MP4, WMV to MP4, MKV to 3GP, etc. in an easy way. The program also comes with rich features to greatly better the video watching experience like selecting desired subtitles for output, adding external subtitles to video, merging selected files into one, etc. Download and install Leawo Video Converter on your computer, and then start to convert AVI to MP4 by following the step-by-step guide below. On the main interface of Leawo Video Converter, click “Add Video” button on the sub-menu to load your source AVI video files. Alternatively, you can directly drag and drop source AVI video files onto the program. Click the drop-down box next to the “Add Photo” button. On the drop-down list, select “Change” option. Then on the popup Profile window, select “MP4″ from “Format” column as output format. Click the big green “Convert” button on the sub-menu bar next to the format setting drop-down box. Then, on the popup sidebar, set output directory. After setting output directory, click the “Convert” button right below. Leawo Video Converter would start to convert AVI to MP4 immediately. 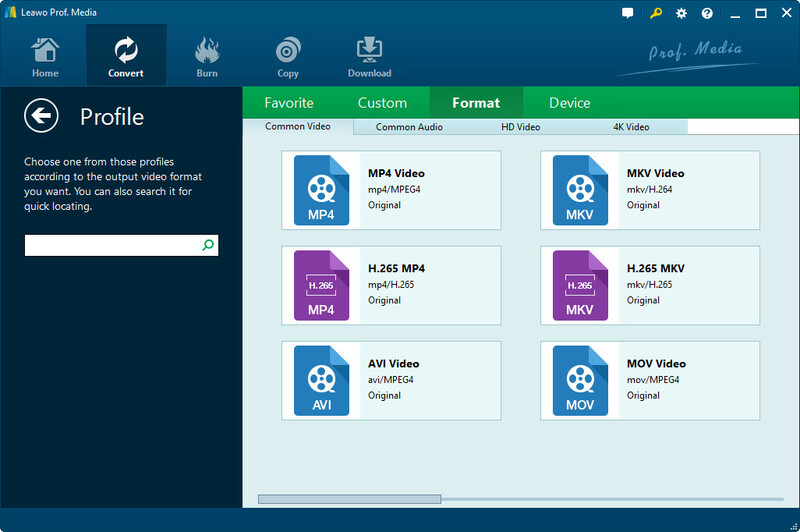 Besides, you can also use HandBrake, a free AVI to MP4 converter, to convert AVI to MP4. HandBrake is a tool for converting video from nearly any format to a selection of modern, widely supported codecs. It is an open source yet free video transcoder. It has multi-platform versions: Windows, Mac and Linux. Check the following guide to convert AVI to MP4 free with HandBrake. Open HandBrake to enter the main interface, where you need to click “Source” and then select “File” to browse and import source AVI file. After the importing of source AVI file, you will be returned to the main interface of HandBrake, where you need to click “Browse” to specify output directory and choose “MP4″ as container under output settings. Click “Start” on the sub-menu bar to start converting MPG to MP4. Apparently, we can free convert AVI to MP4 with the help of HandBrake, but there are some drawbacks. We cannot adjust the video and audio parameters to fully meet our demand, or cannot extract audio and picture from source video file. 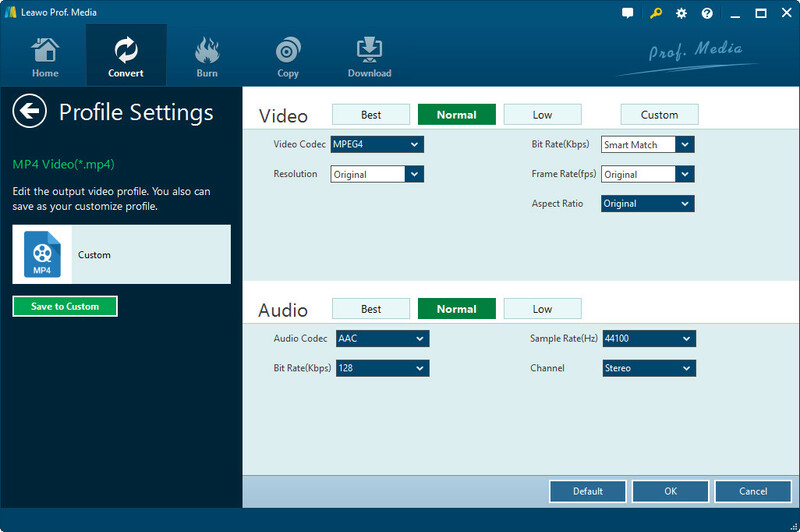 Handbrake can only output MP4 and MKV video file, while Leawo Video Converter can produce more than 180 video and audio formats. As for me, I prefer to Leawo Video Converter for converting AVI to MP4.